Reinforce learning and maintain your child’s interest with one of the best clock games for kids – Kids Tell Time. 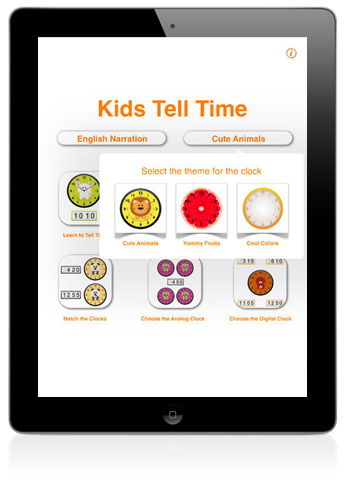 Kids Tell Time is an interactive app that helps children learn to tell the time by using both digital and analog clocks. The time displayed is also spoken in the selected language for the narration: English, French or Spanish. Kids Tell Time will reinforce learning and maintain your child’s interest. Kids will want to set the clocks again and again! Six playing modes allow to set up clocks to give times or match clocks showing the same time. 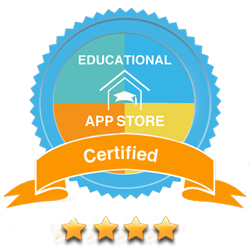 Kids Tell Time was awarded 4 Stars by the Educational App Store! 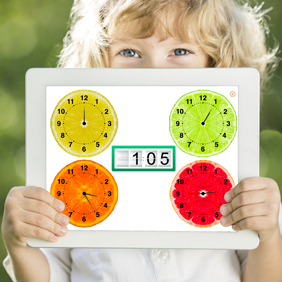 “Teach children to tell the time or let them practise what they have learned with this app. Use digital and analogue clocks to recognise shown times and to set them to match given times. With a neutral graphical design, this app is appropriate for both young children and those who are older and have yet to learn this skill. No tablet used by a young learner is complete without one that helps develop telling the time skills. 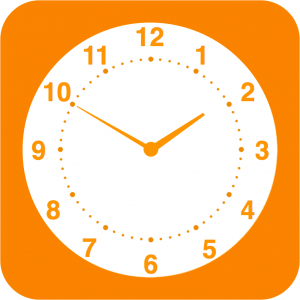 This app covers both analogue and digital times over six different exercises that cover time recognition and the setting of time. The methods of interaction within this app are similarly simple and clear. Dragging the hands of clocks moves them, sliding down digital numbers changes them. Rather than have a button to enter the answer, when the app detects a user entered selection matches the correct response it accepts it and moves on. This works nicely and the chances of a child inadvertently stumbling onto the correct answer are small. A particularly nice feature of this app is the comprehensive speech throughout it. Instructions and times are spoken. The narration has the slightly stilted qualities of much computer generated speech but it is very clear and very useful for independent learning. It is also available in three languages giving the app an extra use in learning to tell the time in Spanish or French. The different activities make it clear when an answer is correct and they award stars on completion. This lets children, parents and teachers keep track of progress and engagement. The awarded stars can be reset for each new player to allow it to be usefully employed to check an individual understands the chosen skill. This option is hidden behind a small ‘i’ icon and so it is not immediately obvious, but it is one that teachers will be pleased to find as it enhances the app’s usefulness for working with multiple students. The untimed nature of the questions gives teachers the chance to explain and help children to achieve the correct answer. It would be effective in small group tuition or when mirroring the screen to a class display. Kids Tell Time is a clock game for kids, an educational app that helps children learn to tell time using both digital and analog clock faces. Are you a teacher looking for a fun, interactive way to engage the kids in your class? Kids Tell Time is the best clock games app for kids and is used by many schools in the classroom. Kids Tell Time offers the capability to attach your device to a TV in your classroom for activities.